The first Air Max was introduced in 1987 under the name Nike Air Max ‘87. It took 8 years of previous development on the Air Max technology after Nike firstly built it into the Nike Tailwind. The innovative mind of Tinker Hatfield gave birth to the idea integrating the legendary visible air pad inside the sole unit. Which at first was very controversial amongst others inside the Nike design team. But like no other design-technique it has defined Nike’s successful running shoe history ever since and has been a part of the design of many following Nike running shoes. The AM1’s design is inspired by the famous Centre Pompidou in Paris. Since its first appearance numerous varieties, color ways and special collaborations with artists have been released. 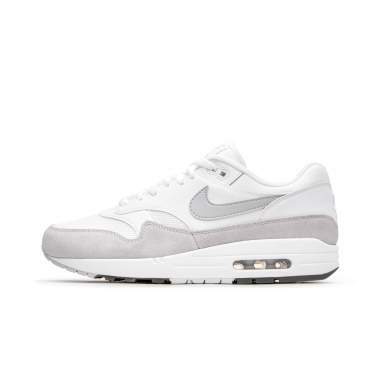 To be honest there is now real sneaker collection without at least one pair of Nike Air Max 1.